Check out my newest dehydrated food. Cranberries! While shopping at the market I noticed that bags of fresh cranberries were on sale for $1.00. I thought why not give it a try to dehydrate them. My whole family loves snacking on dried cranberries. We also love them in our oatmeal and cookies. All you need is a dehydrator - cranberries & honey. One bag of fresh cranberries makes about one cup of dried cranberries. I covered the cranberries with a small amount of honey then used my Nesco Dehydrator to dehydrate them. It took about 24 hours to get the cranberries dried. My dehydrator will dry up to 12 trays. I like using lots of trays - makes it easy to dehydrate quite a lot of product at one time.I have a been dehydrating my own fruits and veggies for over a year. Great way to make healthy snacks and save lots of money. Now is the perfect time to purchase fresh cranberries ~ they are on sale. I buy Craisins all the time, but had no idea I could make them myself. I am totally trying this. These sounds great! Very healthy snack. I am all for healthy snacks. I have been trying to watch it lately! This looks like a great snack. 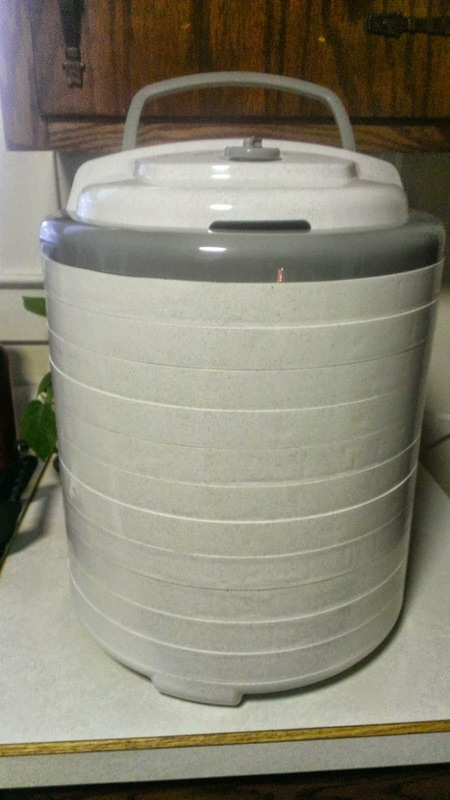 I have been wanting to get a food dehydrator. Wow, I didn't realize how easy it is to dehydrate cranberries. I have never even tried those berries -- I am probably missing out on a yummy snack option. I never thought of making these myself. My husband will be so happy. I have not done cranberries yet. I will have to tryit. I have never used a deydrator before, I might go a little crazy... guess you can make jerky for your dogs too?? I have never tried using a dehydrator but would like to. I love cranberries, and I bet they are so good dried. I love craisins but they can be expensive. When cranberries are on sale, it would be so nice to stock up and make these myself. I have a bag of dehydrated cranberries in my kitchen, too! 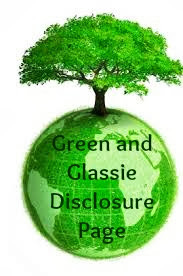 Love them, especially in salads. My fave combo is with bulgur. It's so cool that you can make your own. I love dried cranberries. They're so good! Dried cranberries is one of my all time favorite snacks. I can literally munch on them for hours at a time. I am totally doing this. I am always looking for healthy snacks. I love adding dried cranberries to my salads! Dehydrated fruits are so good! I love cranberries! I used to dry my own fruits and need to try that again. Your cranberries look amazing! 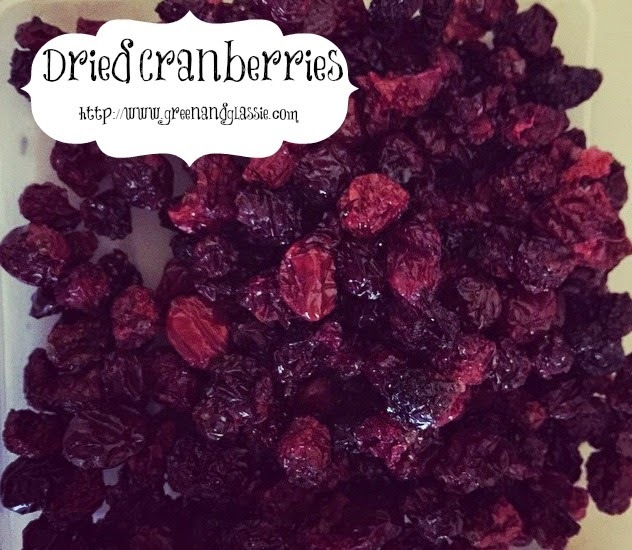 My kids love cranberries, these would make a great snack and healthy one for them too! This looks like such a tasty treat. I love how you dehydrated them yourself. Cranberries make me happy. I have never dehydrated fruit myself, but I'd def. give it a go for cranberries. I love eating cranberries. So perfecgt for work snacks. I love dried cranberries. They're a great addition to lots of meals. I have never had dried cranberries. I may have to get your dehydrator as I love dried bananas. I love cranberries and never thought of doing this. Great idea! So easy to make too! I bet these are a great healthy snack. I love dried cranberries. I love to put them on salads! I love baking with dried cranberries. You can put them in so many things. Never thought to do this! I have a dehydrator so I will definitely try it! I love dried cranberries. We use them in oatmeal and muffins. I should ask for a dehydrator for my birthday this year. My grandpa used to make some wonderful stuff when he was still alive. I would love to make his recipes. I wonder if you can dry them in the oven or some other way because I have a bag in my house right now that need to be used. We love Craisins too so this would be an awesome money saver if I could. I always wondered what to add to cranberries when dehydrating! I'll have to check on them at my store and make some. I've never thought about making my own craisins before. Yum! Wow I think it would be great to own Dehydrator! I love doing things organically so I am into juicing but I think it would be fun to do the opposite too! Make my own Kale chips! I have always wanted a dehydrator. My friend used to make beef jerky in hers. I would love to make my own dried fruit. I'd love to have that dehydrator! I've wanted one for a while but haven't had the budget for it yet. i LOVE dehydrated cranberries. I have honestly never made them myself though. Yum!